During Matariki this year we planted vegetables with the tamariki. Our vegetables are growing well thanks to the continued manaaki of the tamariki. 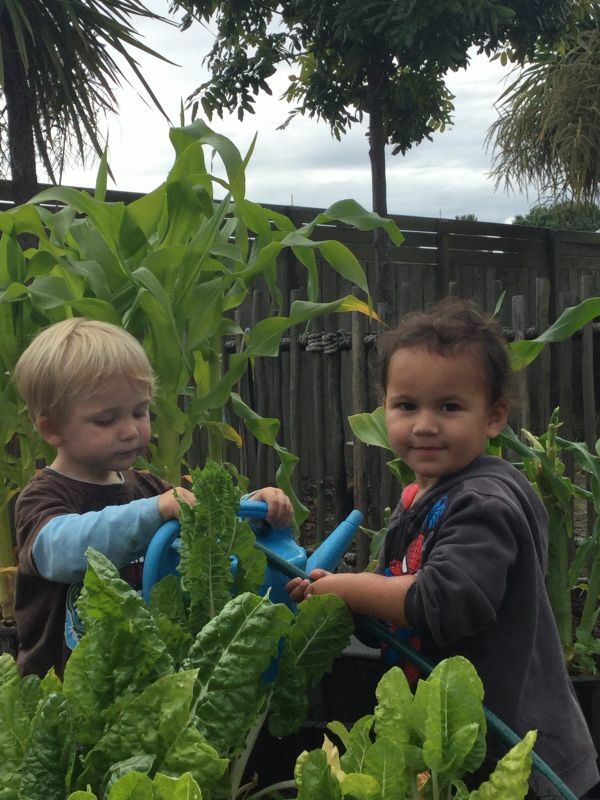 Nikau wanted to help water (drown) the garden and his little friend Byron. It was so lovely and funny watching the boys today, little gardeners in the making for sure. At Central Kids Te Akoranga the tamariki experience an environment where they develop working theories for making sense of the natural, social, physical and material worlds while having fun and developing friendships with their peers.